ST. GEORGE — It has been just over a month since a 47-year-old Washington man died in a motorcycle accident at the intersection of 2450 East and Riverside Drive in St. George, and the Enyart family is coping with his death and the financial strain it has caused them. On June 28, James “Dutch” Enyart was hit head-on while riding with two of his friends, also on motorcycles. A jeep struck a Ford Ranger and the motorcycles, one of which carried Dutch Enyart who was ejected, impacted the jeep and then the pavement, suffering numerous injuries that led to his death including bleeding within the brain. Dutch’s friends, Steve Pinkard and Larry Young, were the other two motorcycle riders, Dutch Enyart’s widow Heather Enyart said. Young suffered a leg injury that required surgery and is expected to make full recovery. Pinkard was not injured and was present to support the Enyart family in their time of need the night of the accident. The driver of the jeep was cited for distracted driving, which was not due to cellphone use, St. George Police Sgt. Sam Despain said. Heather Enyart said he came to the hospital and has shown concern and attention in the aftermath of the accident. It was a rare instance that Dutch Enyart rode without a helmet that day, his oldest daughter Tayler Enyart said. He was an extremely safe driver with a garage full of helmets and gear, she said. The Enyart family is looking for a way to move on in the aftermath of their loss. She remembers hoping it was all just a mistake when she crossed two state lines traveling from her home in California to Utah on hearing the news of her father’s accident, she said. Months later the family is still in shock. Dutch Enyart’s daughter, Jessica Enyart, said her friends don’t know how to react to her situation and have let her do her own thing. Her workplace has been lenient. Dutch Enyart was known for bending over backwards for his family. 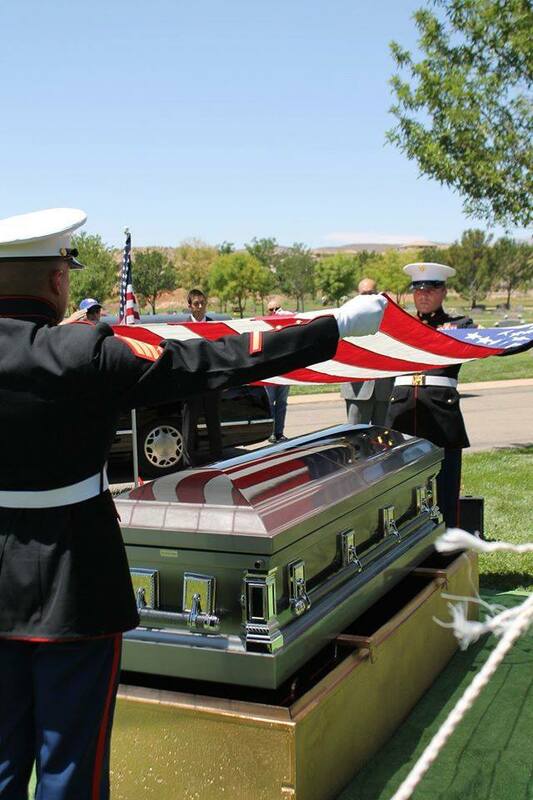 Dutch Enyart is remembered as a patriot, Marine and a strong, faithful member of the Church of Jesus Christ of Latter-day Saints. 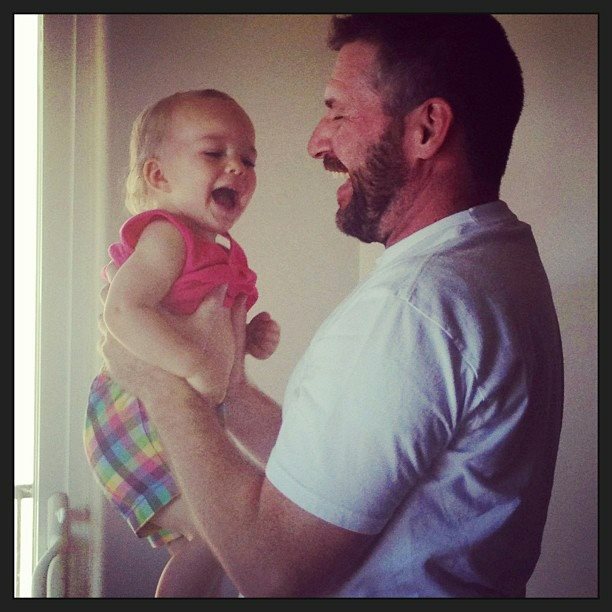 Since the death of her father, Tayler Enyart has established a GoFundMe Web page entitled Support Dutch’s Family. An account at the Wells Fargo Bank in St. George is set for those wanting to donate to Dutch’s widow, Heather Enyart, and their three minor children. Interested contributors can go to the bank and request to donate under Dutch Enyart, Dutch James Enyart or James Enyart. The funeral cost $6,000, she said, which the family had to pay up front. Heather Enyart is currently a student as are two of her stepdaughters, all of who are living off student loans. She said her ward of the Church of Jesus Christ of Latter-day Saints has reached out as well as the Harley Owners Group, a motorcycle group Dutch Enyart participated in, by doing a fundraising ride to help the family. The family is grateful to those willing to help and donate. “We hope to be able to pay it forward soon,” Tayler Enyart said. For Heather Enyart, each day is still a struggle as she lost her best friend. “Losing someone like that is so hard,” she said. Coming to the realization every day that her father is no longer with her has been difficult for Tayler Enyart. For her birthday, she took her daughter to see “Maleficent.” Afterward they went to a photo booth to take pictures that, she said, turned out simply terrible. It was a few minutes later she remembered he was gone, and she started sobbing. Well remember your advice Bob the next time you make a mistake. In an area where the predominant religion touts responsibility and obligation it amazes me how many people can brush off personal responsibility and claim carelessness causing death can be overlooked. I guess if you’ve done a mission and are a perfect member of THE LARD’S CHURCH then you can get away with a lot! Bobber, my comment was not about the driver involved, but the people making comments. It’s one thing to cop out yourself, but I’m surprised at the lenient attitude from a crowd known to be rather judgmental. Exscuse me! I am sorry I dont know where you get your info but the driver isnt an active member of the church amd never served a mission. He is a young guy who lost both his parents and after totalling his car in this accident eventually lost his job and without his own parents to help him ended up homeless for a few months until I personally paid for transportation to my family members house in california, where he getting his life back together. He is racked with guilt and wishes he could go back in time and not glance down at papers fAlling off his lap while he was driving. He knows what its like to loose not only one but both his parents and it is eating him Up inside that he caused someone else to loose their parent. So dont assume you know anything about him. It mAkes you look like an idiot. I don’t believe anyone ran anyone down. A jeep driver was distracted and hit another car which got into his lane and he landed on the hood. Read it again. Way to try and minimize the driver’s responsibility. How is it minimizing ? Patriot stated the facts- a distracted driver hit a motocyclist. No one is saying it wasn’t the drivers fault, but for craps sake, none of us are perfect, we have all looked away from the road for a second while driving, most of us have just been lucky nothing happened. The title “Marine” should be capitalized. You are correct, it is done, thank you Matthew, and Semper Fi back atcha. Our apologies, no disrespect intended. That was a great article Holly. Prayers for the family. It never ceases to amaze me just how stingy the LDS religion is with its own people. The church is right there with its hands out to collect tithes and fast offerings. Yet when people are in need, they get some minor kindness from ward members and that’s it. The cost of having a ramp professionally built was prohibitive for the elderly lady and her husband (who is suffering of Alzheimer’s). Now this lady has been a member of the church for decades, earned a high income for many of them and paid tithes faithfully. I understand the ward men were unable to provide the ramp on a volunteer basis. Do you think the church could cough up for a ramp when needed? Nope. Not a chance. So, what did this lady get? A week of dinners provided by Relief Society when she got home from hospital. That’s it. For decades of hard work for the church, temple service, ward callings, and tens of thousands of tithes and offerings. I lost ALL respect for the LDS church after that. Even the Amish take care of their own. The LDS just want your money…and your mind.